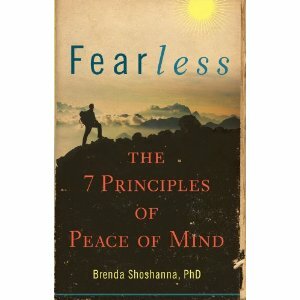 Fearless: The 7 Principles of Peace of Mind is wonderful. It’s all of the things you want a self-help book to be — inspirational, empowering, life-changing. This book will have a profound effect on you, if you read it with an open mind and heart as well as a good attitude. In Principle 1: The Courage to Be Who You Are, the author asks readers to stop and consider What does it mean to truly accompany a person, with no judgment and no blame? Whom do you truly accompany? Can you accompany yourself? This is a salient question; honestly, how many of us reserve judgment and blame when dealing with people in our daily lives, even the people we love and care about the most? I admit that I’m guilty of that. Principle 4 addresses finding a safe harbor. This concept deals with pain and distress and our response to it. For example, how about the notion that pain is not the same as suffering? Unless, of course, we make it that way. Again, the author asks, Who would you be without your suffering? What would you talk about with your friends? How would you make others care for you? Where would you get excitement from in life? Although this might not specifically pertain to you (but I can relate), trust me, there is something in this book for everyone to take a lesson from it. Fearless is a book of guidance and positive change that will benefit anyone who is lucky enough to get a copy. It would also make a wonderful gift for someone you care about, who might be struggling with some difficulties.